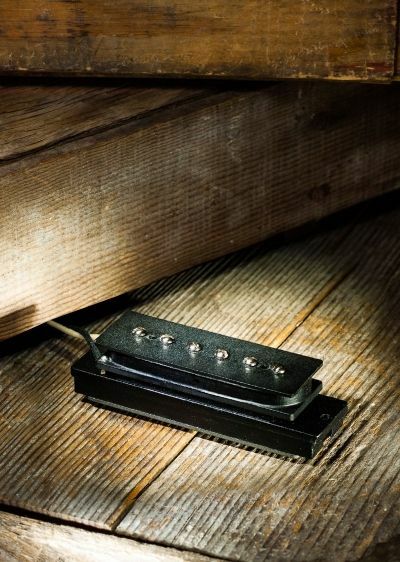 Intended for use as a bridge pickup — though it sounds more like a neck pickup — the Chicago Steel is specially designed for slide players. Based on specific 1940s era Oahu, Valco, and Supro lap steel pickups, you get that classic Hound Dog Taylor sound with touch sensitive, over the top output. The tone remains distinct even with heavy amp distortion with none of the sharp treble usually associated with Strat bridge pickups. Installation usually requires minor routing and slight pickguard modification. String spacing outside-to-outside of strings is 2.062" (5.23 cm).